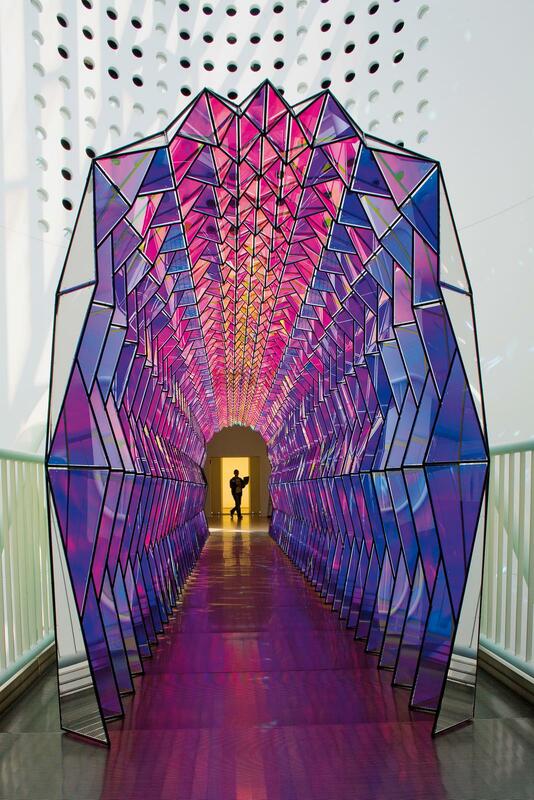 One-way colour tunnel is an arched walkway constructed from triangular panels of colour-effect acrylic glass and acrylic mirrors. 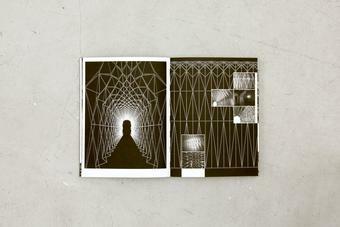 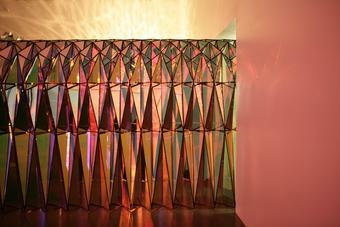 The panels are assembled into a rugged form, with the longest triangles at the base of the tunnel and the shortest triangles forming pyramidal outcroppings on the ceiling. 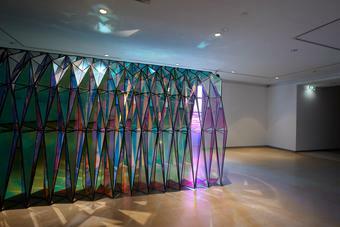 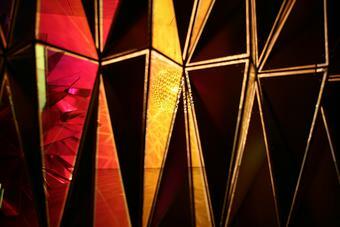 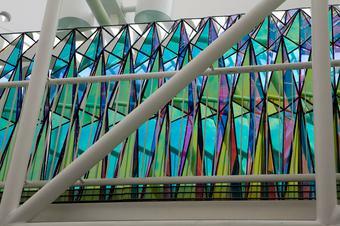 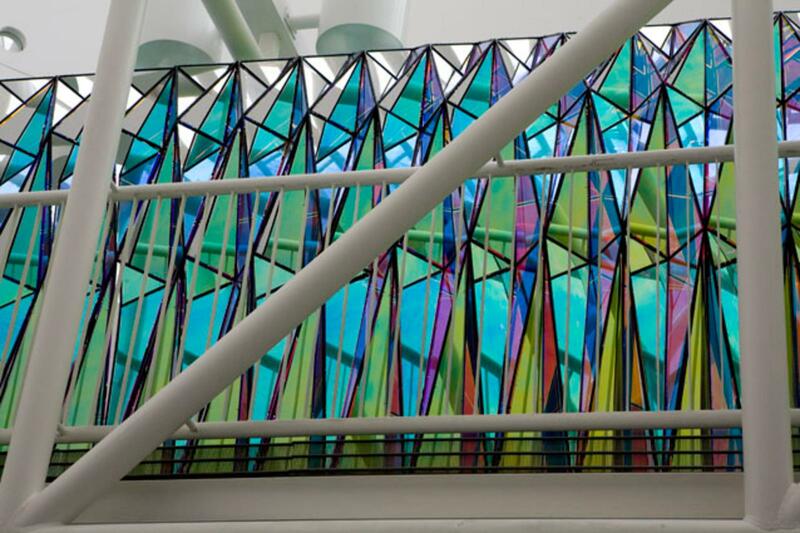 As visitors move through the passageway, they observe a fluctuating display of varied hues caused by the colour-effect acrylic glass, which changes tone depending on how light strikes it. 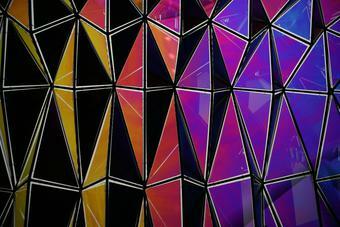 When they look back, however, instead of seeing the colourful environment they just passed through, they are met with the dull black backs of the panels, with only hints of colour escaping through the interstices. 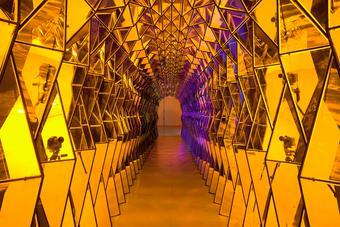 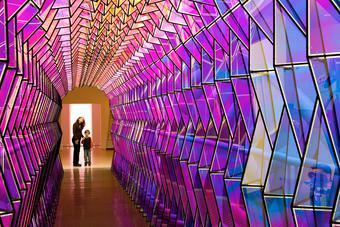 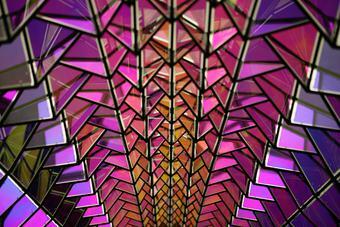 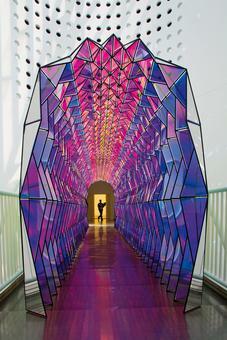 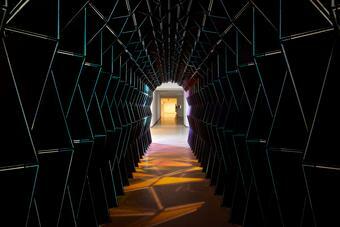 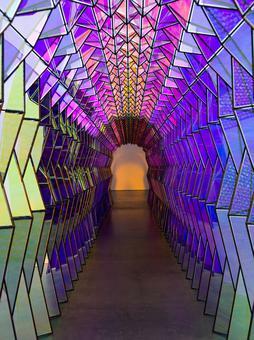 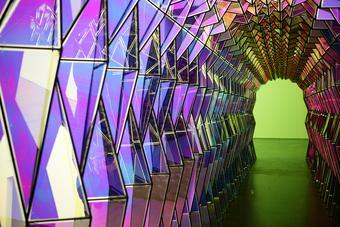 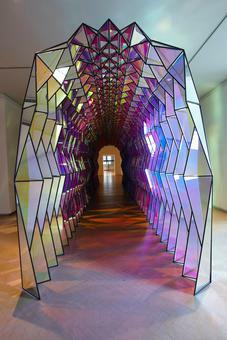 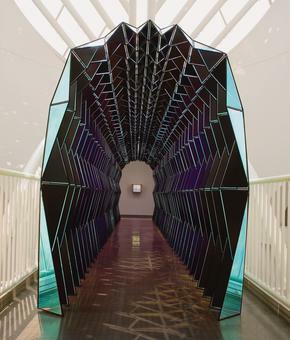 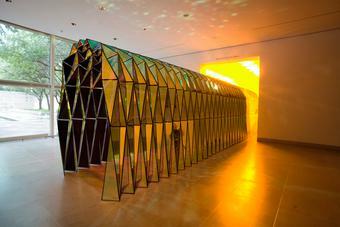 Created for the exhibition Take your time: Olafur Eliasson, One-way colour tunnel is now in the collection of the San Francisco Museum of Modern Art, where the work is often installed on a semi-transparent elevated walkway that reveals a surprising view of the tunnel from below.